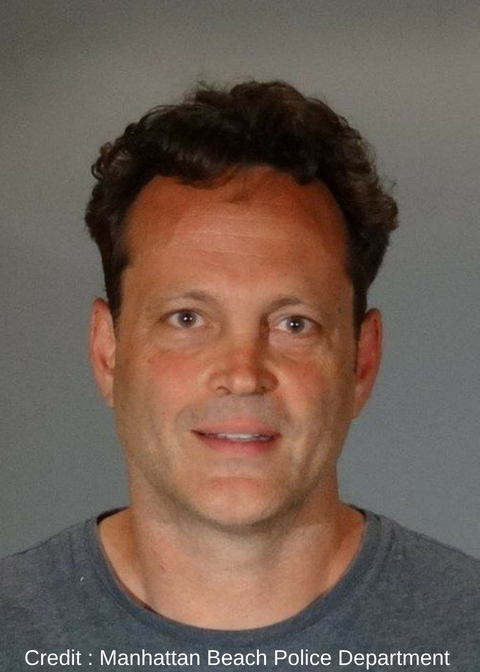 Over the weekend actor-comedian Vince Vaughn was detained for an alleged DUI in Hermosa Beach according to reports. Both he and his passenger were detained at the checkpoint that had publicly boasted the warning of “zero tolerance” around 1am Sunday morning. When asked to step out of the car, both men initially refused and became uncooperative according to reports from TMZ. Sgt. Tim Zins of Manhattan Beach Police later said Vaughn wasn’t “fighting with officers,” but was “delaying the investigation,” CNN noted. He was arrested for alleged DUI with an additional charge of resisting arrest. His passenger was charged with public intoxication and obstruction. The 48-year-old “Old School” actor and his passenger were released around 7am that same day after posting bail that morning. This is not Vaughn’s first run in with police, although this is his first suspected DUI. In 2011, Vaughn was arrested with screenwriter Scott Rosenberg at a North Carolina bar where fellow actor Steve Buscemi was stabbed. The celebrities were hanging out at the Firebelly Lounge when two local men became upset when one of the men’s girlfriends began chatting up the actors. When the men took the argument outside, a scuffle broke out and Buscemi was stabbed just above the eye and in the jaw, throat and arm. Buscemi was treated at a local ER and then released. The stabber was charged with assault with a deadly weapon with intent to kill. Vince Vaughn is known to play slobbishly brash characters with drinking problems in buddy comedy films. In the modern day “Animal House” Vaughn plays Beanie in the 2003 movie Old School, a father of two helping his friends put together a fraternity to relive their glory days in college. In Wedding Crashers he and Owen Wilson played drunken wedding guests whose ultimate conquests were to take home the morally compromised bridesmaids and guests. In a 2015 interview, Vaughn reportedly claimed to support illegal drugs and that some should be decriminalized and believes that experimenting with drugs is part of growing up. When asked about the war on drugs, he spoke about corruption in the system.